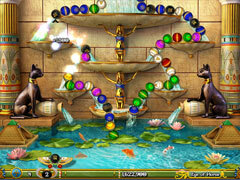 Get ready to wield your winged-scarab shooter in an all-new LUXOR! 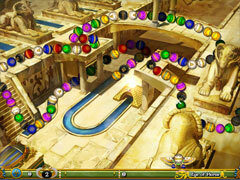 Unlock all 20 achievements as you collect falling treasures and eliminate the oncoming chains of spheres in the beloved action-puzzle game. 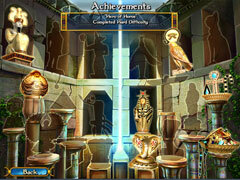 Save ancient Egypt in the 100-level Adventure mode, or test your accuracy in Blast mode—the 2-minute timed mode that challenges you to rack up points. 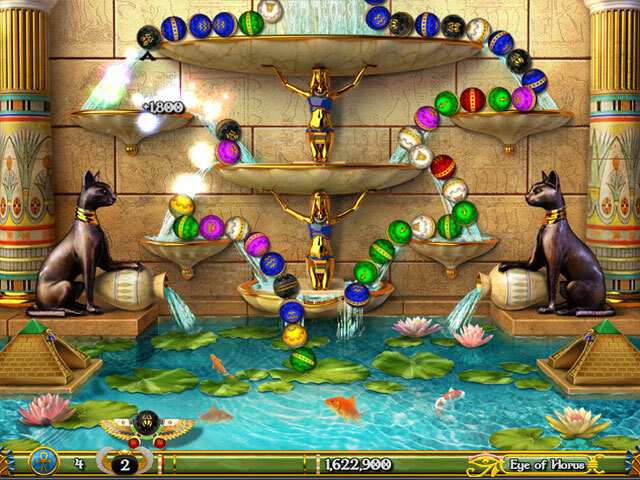 Four new power-ups, 25 all-new backgrounds and pathways, and introducing the Eye of Horus button—click the button when you’re in a real jam to eliminate all remaining spheres!